Even in the act of leaving after 20 catastrophic years as FIDE president, Kirsan Ilyumzhinov had to lie about it. His presidential board announced he was stepping down, Kirsan said he wasn’t really. FIDE then announced FIDE Deputy President Makropoulos would be taking over official business for Kirsan, who then said this only applied to the United States, the source of sanctions against him for helping the terrorist army of ISIS sell oil to murderous Syrian dictator and long-time Ilyumzhinov friend Bashar al-Assad. Kirsan’s subsequent claims he would sue the US for $50 billion while making the 2016 “the year of chess in the United States” are as laughable as his fantasies about aliens, but no one should be laughing anymore. What’s happening now isn’t about his false promises and delusional bluster. This is real. Ilyumzhinov has lied consistently, constantly, since taking over FIDE 20 years ago and doesn’t see any reason to stop now since it has served him well. 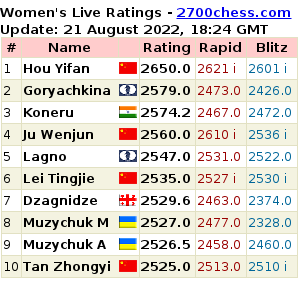 Nothing in FIDE will change until Ilyumzhinov and his entire lot are thrown out. Even then it may be too little, too late, as the organization has been so transformed in his corrupt image, with personal gain paramount over the federations, players, and the game of chess itself. It’s not a surprise that Ilyumzhinov was finally caught for his KGB activities while obeying his masters and turning attention toward the United States just when the US is paying more attention to Russian conduct in Syria. He was clearly under instructions to do more in the US after years of FIDE being increasingly trapped behind the borders of the former USSR nations friendly to Putin’s Russia. US and European sanctions have made it harder for the KGB to move money to its assets and FIDE has proven to be a useful conduit. Just how valuable it is to Putin was made obvious by how mobilized the Russian diplomatic and foreign security services became in the 2014 presidential election, when I ran against Ilyumzhinov. 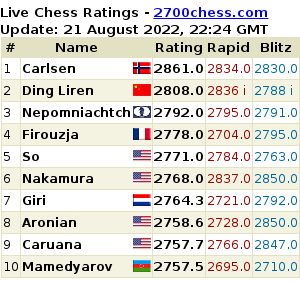 And what of the many members of the chess community who sided with Ilyumzhinov in before and during those elections in Tromsø? They cannot feign shock now and should not be let off the hook. Kirsan’s activities were hardly subtle, with a history of well-publicized meetings with Moammar Gaddafi, Saddam Hussein, and Assad. It was only a matter of time before he crossed the wrong line at the wrong time and got exposed. Now he is a burned agent trying to spin his way back into the good graces of his KGB superiors. Of course, no one who cares at all for the game of chess could support Ilyumzhinov even without this long-coming comeuppance. It says everything that his punishment came from outside of the chess world, not inside FIDE or from the federations, who have sold their souls and sold out the game of chess for a chance to sit closer to Kirsan’s knee and beg for scraps. Will the dogs now turn on their master and demand his ouster or will they defend him still? Where is the media demanding accountability from the federations who supported Kirsan? Where is the voice of the allegedly reform-minded European federations, or are they waiting for EU sanctions to follow? Waiting to see if some of the money Kirsan’s bank handled for ISIS made its way into accounts in Paris? Unfortunately, I think we know the answer. It’s a tragedy for chess, made more tragic by the fact it could have been avoided 17 months ago in Tromsø. But they knew exactly what they were voting for and they got it. Thank the stars that I have been banned by FIDE so it is very clear I have nothing to do with this mess! Already, some chess officials are optimistically stating the crisis for FIDE begins and ends with Ilyumzhinov. This is very unlikely. He did not just abuse his position, but the organization itself, and he could not do this alone. As with the FIFA corruption scandal, it will continue to develop as the investigation digs deeper and the rats try to save themselves on the backs of their brothers. Ilyumzhinov’s “suspension” or “withdrawal” or whatever he wants to call it will not save him or FIDE because he and his gang will not go willingly. One can only hope that there is something worth saving in FIDE when eventually they are gone. When I announced my campaign for FIDE president on October 8 in Tallinn, I stated that my goal was to elevate our game to the very high level in the public mind where I believe it belongs. On August 11 here in Tromsø, I lost the election for FIDE president, but my campaign did a tremendous amount of work around the world to elevate chess. In those 307 days, an incredible team came together, from my FIDE ticket to federation officials to staffers and volunteers around the world.